Tile has always been the premier choice of proud home owners. Many believe tile is classy and gives off the appearance of luxury. Installing tile in any home will enhance the overall value. Tile is the most durable material one can have installed, and one of the easiest to maintain and keep clean. Tile comes in a vast variety of shapes and colors, therefore allowing you to accentuate the beauty of your home. Where can Tile Pro of Seattle install tile for you? Because tile can be installed just about anywhere, you can express your personality in any way you want. Whether you’re traditional, contemporary or even a little on the artistic side, Tile Pro of Seattle will transform your house into the home you’ve always wanted. Demolition – A job well-done starts with the proper removal of the existing surfaces. Tile Pro of Seattle's demolition specialists are experienced in minimal dust techniques and are sure to be careful not to damage any of the surrounding areas. We maintain a clean and safe environment and properly dispose of all debris. Preparation – Here at Tile Pro of Seattle, we make sure that the preparation process is to the highest standard of quality. We believe that properly preparing the work area is the key to a durable lifelong installation. Installation – Tile setting is a form of art. 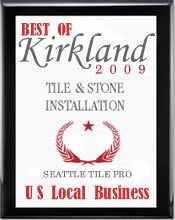 Seattle Tile Pro installers take great pride in their tile setting abilities and professional craftsmanship. Grouting – Picking the proper grout color is essential to enhancing the overall appearance of a job well-done. 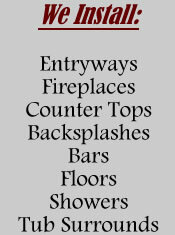 Whether you need sanded grout or non-sanded grout, Tile Pro of Seattle works closely with local grout distributors that have just about every color grout in the color spectrum. Sealing – Now that we’ve created a wonderful work of art, it is important to keep your tile and grout looking like new for many years to come. Tile Pro of Seattle uses a special impregnating sealer to waterproof, lock in original grout color and retain the natural beauty of your tile or stone. Q: Do I need to apply sealer to my tile? A: Yes. Tile Pro of Seattle will apply tile sealer upon completion of the project, but you should re-apply tile sealer every 6 months in showers and every 12 months for other surfaces. Q: How long until I can walk on the new tile floor? 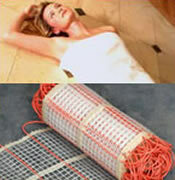 A: We recommend that you give the new tile floor 24 hours to dry thoroughly. Tile & Stone Installation is our specialty!